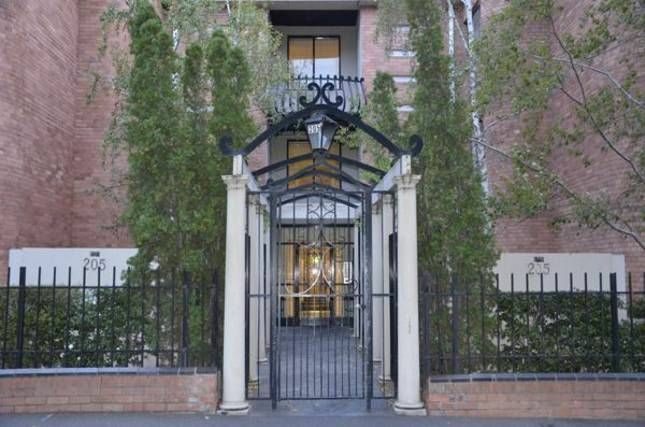 Large spacious apartment very quiet and close to all Melbourne as to offer. Spacious quiet apartment. Free car parking for 1 vehicle. Boutique Art Deco Apartment on the edge of Melbourne overlooking acres of parklands. This Elegant spacious two bedroom apartment sleeps up to 5 people and only 5 minutes from the city centre, The apartment consists of q.s. bed in main bedroom with balcony overlooking garden area, second bedroom consists of two single beds with a full size trundle bed. Separate fully equipped kitchen/dining with full size fridge, stove, microwave, dishwasher and dining setting. All linen, towel supplied, Weekly Service. Bathroom (shower only) laundry facilities in apartment. Separate lounge with two large settees, t.v; airconditioning. Public transport is available directly outside the apartment. Parking onsite. Abbeville apartments are 5 minutes from the city centre. close to all major Melbourne attractions. Melbourne Zoo, Victoria Market, Melbourne hospitals, parklands. Abbeville apartments are close to Melbourne restaurants, Melbourne hospitals, parklands, Melbourne zoo, and Victoria Market. We have been operating for over 20 years. We have been able to accommodate many families attending the major hospitals being withing 5 minute walk and directly opposite the Royal Children's Hospital. We are a tram ride away from Flemington racecourse and showgrounds and moonee valley racecourse. You can be assured of a quiet and peaceful stay at Abbeville apartments. The apartment is in a quiet and peaceful art deco building. With Melbourne Tram directly outside the all Melbourne has to offer is only 5-15 minutes away. Bathroom is vanity basin, (shower only) toilet, and laundry facilities in the bathroom area. Abbeville Apartments are directly opposite acres of parklands and children's adventure playground. Washing/Dryer combination in the apartment for your convenience. Parking available free for one car. Beautiful art deco lounge room, with two large chesterfields, lovely cabinet, coffee table, t.v. and gorgeous electric fireplace in a heritage surround. full size oven and gas cook top. Dishes and utensils to accommodate up to 4 people or more. Pots and pans, electric fry pan, and all items you would need to make your stay comfortable. Modern Kitchen has full size oven and gas cook top, large size fridge, microwave, dishwasher, dining table to seat 4 in kitchen. This is a ground floor apartment and is has some accessibility for wheelchairs. Apartment will be serviced in stays more than 1 week. Includes, vacuuming, change of bed linen, change of towels, bathroom, and kitchen wiped down and cleaned.